I read this article and found it very interesting, thought it might be something for you. The article is called Cable News (Support) Network and is located at http://modernloss.com/my-cable-news-support-system/. When I notice it’s already 9:07 p.m., I start sweating like I’m in spin class. 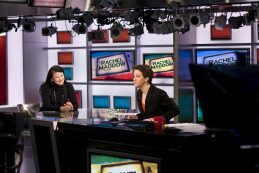 I’m stressed about missing “The Rachel Maddow Show.” I can’t mention this to my friends, or they’ll inevitably look at me with cow eyes and say, “We actually thought you were improving,” their words drenched in disappointment. My friends have been worried about my misplaced anxiety ever since I lost my husband to cancer a year ago. Most people think I’m joking when I tell them I’m addicted to MSNBC, but, it has been my savior, helping me navigate this bleak period in my life, and restoring my faith in myself. When my husband died, my self-esteem plummeted — grief shows up strange ways — and I doubted the validity and value of my own opinions. But, once I heard TV hosts I respected announcing my very sentiments to millions of viewers, the self-doubt began to abate. Their words serve my nervous soul better than any anti-anxiety med, and the euphoria makes me yearn for the whatever program is next. I’m on a first-name basis with all the hosts. When I’m feeling broken and damaged, Mika and Joe, Rachel and Lawrence make me feel intact. I knew this preoccupation with MSNBC was getting weird, so I self-regulated, and began limiting my viewing hours to first thing in the morning and evenings. When I’m working from home, I deny myself any daytime MSNBC fixes, the cable news addict’s analog to a “no day drinking” rule. Each reporter in my lineup has a unique style and energy, and their shows provide a rhythm to my day. 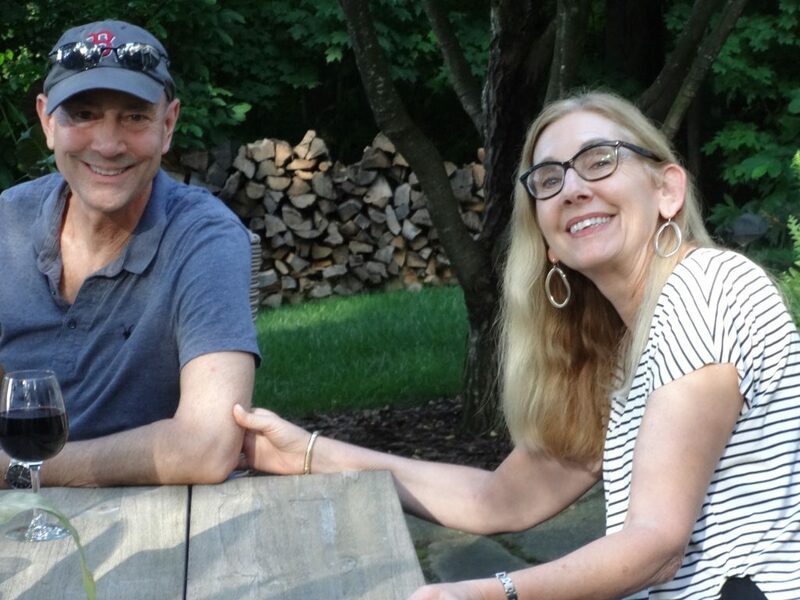 When I wake up agitated at 3 a.m., I spend hours ruminating over my husband’s last days in the hospital: Why was he on a ventilator for a second time? What were his last words? I know all these answers, but I can’t stop. I lay in bed for hours feeling sorry for myself. Then, I realize I’ll soon be greeted by Joe and Mika who will trigger happy memories of my husband shouting headlines while reading the New York Times on his iPad. By 6 p.m., I celebrate having made it through the day without a major anxiety attack, by watching Ari (Melber) and Chris, (Matthews). I’m too riveted to think I hear the sound of my husband’s key fiddling with the lock, something I thought I was hearing — or hoped I was hearing — for months after his death. I dine every night at 8 p.m., Eastern, with the other Chris, Chris Hayes. Although I ate many dinners by myself when my husband was alive, I was never lonely because I knew he would eventually come home. Now, I know he is not coming home, and never will. Watching Chris, listening to his words and how they resonate makes me feel a little more rooted. And it was during his show that I realized that I must start eating again, after spending much of the past year avoiding food. A diminished joy in food was another unexpected side effect of grief. Eventually, I prepare real dinners, rather than cereal and yogurt. I twirl pasta and munch on grilled salmon, while Chris shakes his head in disbelief about all the president’s lies du jour. I often called the MSNBC reporters my new best friends. But after being ridiculed mercilessly by those close to me, I had to admit I was wrong. Best friends do not always tell you what you want to hear, and when my husband would say, “That doesn’t make sense,” he was giving me the fresh perspective I needed. Best friends have no problem giving tough love, and will not spoon-feed your own thoughts back to you. Best friends talk about the things that are hard to hear, and speak with a gentle honesty that can leave you crushed with sadness and regret. 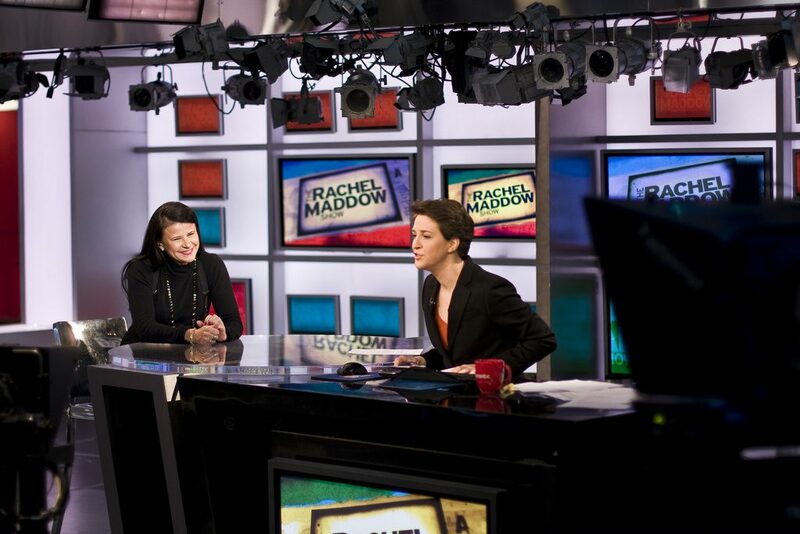 The reporters on MSNBC — their presence and consistency have proved invaluable. What they’re not, though, are my best friends. Karen Conner is a writer for the Columbus Museum of Art. Her work has been published in the HuffPost, The Columbus Dispatch and the literary magazine Scribe Base. I still sometimes feel that I’ve been irrevocably wronged, and become momentarily consumed by envy for pregnant women and new parents who are not trailed by the long, sticky shadow of loss.